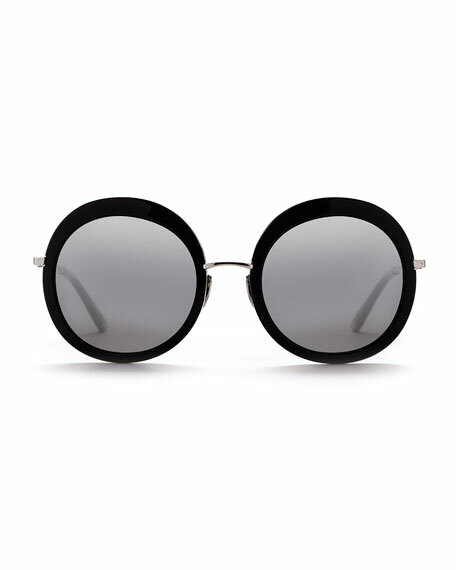 Sunday Somewhere "Abella" round metal sunglasses with acetate trim. Slender temples with capped tips. For in-store inquiries, use sku #2142206.